This is definitely a family favorite in our home! We love the sweet and tangy mix of flavors. Place the chicken breasts into the base of the slow cooker. Sprinkle a little salt and pepper over the top. Drizzle BBQ sauce over the chicken breasts and then pour the pineapple juices around the chicken breasts and the pineapple on top of the chicken. 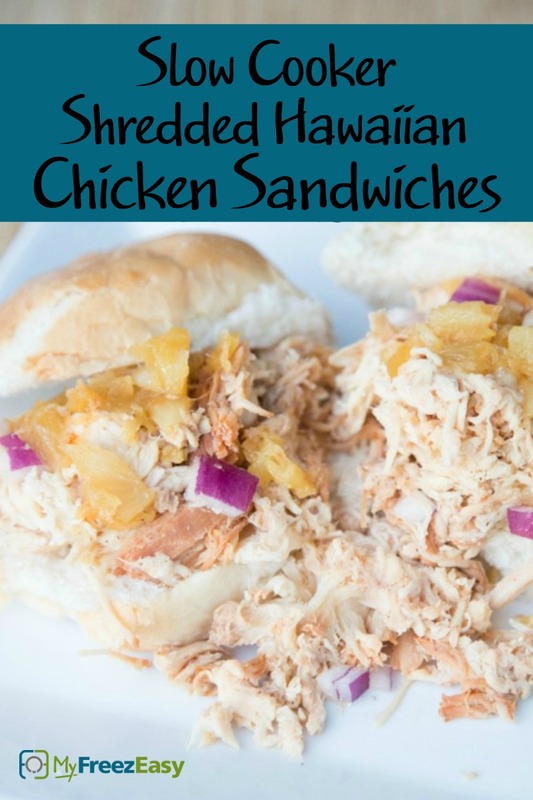 Once cooked, pull out the chicken breasts and the pineapple and add to a bowl, then shred with 2 forks. Mix in the chopped red onion, if you didn’t add it to the slow cooker. 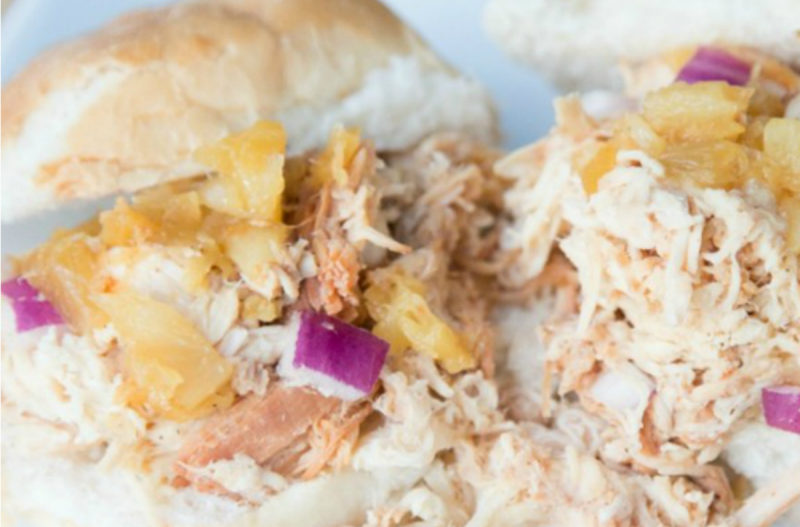 Serve Shredded Hawaiian Chicken Sandwiches with fruit and chips. Finely chop 1 small red onions. Open 2 cans of crushed pineapple. Do not drain. Use 1 lb. chicken breasts & 1 lb. chicken thighs, if you prefer a deeper flavor from the dark meat. Extra cooked, shredded chicken can be frozen to use in future meals. Serve over rice instead of on buns, and serve with gluten-free chips. Add the contents of the freezer baggie to the slow cooker and cook on low for 8 hours. Once cooked, shred chicken with fork. Serve on sandwich buns with fruit and chips.